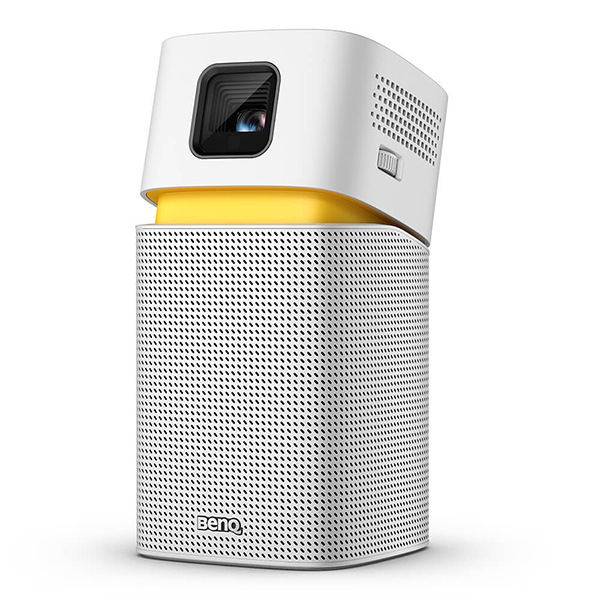 BenQ sent over a preproduction sample of the GV1, their new portable projector with Wi-Fi that also acts as a Bluetooth speaker. This is off course a first look and not a full review, so some things might be missing in this article. I’ll do a complete review once I’m done testing everything on the projector. As said, the GV1 can be used as a portable Bluetooth speaker. With a press of a button, it changes from projecting to playing your music via Bluetooth. The sound quality is more than okay. It’s not extremely loud, but a very full sound with solid bass and crisp details. The video quality goes up to 480P and max. 100 inch, but is best viewed at 60 inch. Although this is not 4K, I did not really lack a lot of image quality. I didn’t notice any drawbacks when watching some YouTube videos and the GV1 projects very clear, crisp and bright images. It’s Android operated, so very easy in use. The remote that’s included in the box not only looks great, it also works great. 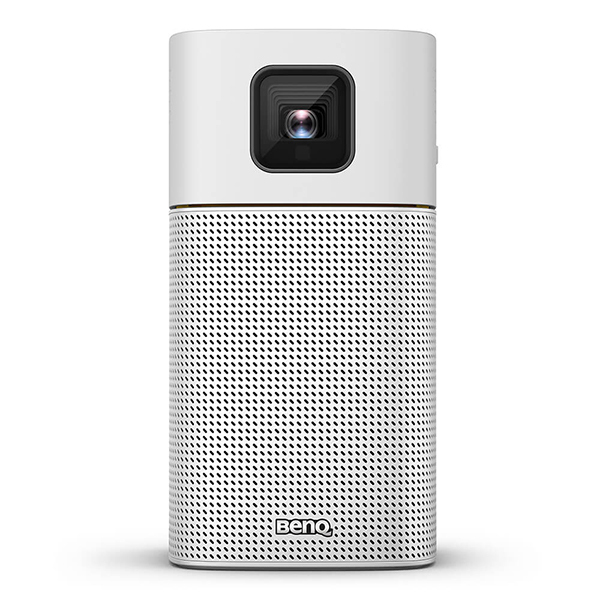 The projector is very easy to use and everything comes from your phone or PC. You stream content to the projector. The only negative thing is that you can’t stream Netflix directly from your phone to the projector, but that’s Netflix’ fault. You need to do that via Airplay or Mirroring in Chrome. It works though, only via PC or Mac. Overall the first look on this tiny projector was great. Yes, it’s a big bummer that you need a pc to stream Netflix, but who knows, maybe this could be a built in feature in the future. As for now, it’s not. The first tests were very promising, the picture quality is really good and the speaker works great too. I can see some cool usages for this: when you’re cooking, when working out, when going on a trip… You’ll need a white wall though, that’s all. You can find the GV1 here.